ServiceMaster by Disaster Associates, Inc. is renowned as one of the best restoration companies in New England. We have been providing high quality services in Massachusetts and New Hampshire for over 20 years. Our company was established in 1994 when current owners Dan Noyes and Chris Carey merged their own restoration and cleaning businesses to create a larger company that has all the necessary resources to provide quality customer services in various fields. The successful partnership has resulted in more efficient planning and accomplishment of different restoration projects, quicker response time, and better customer satisfaction. We continue the legacy of providing first-class services that are both reliable and affordable in order to help people who have suffered from a disaster resume their daily routine as soon as possible. We have participated in a number of major restoration projects, including 9/11, and have achieved outstanding performance and cost-effective solutions, even in the most challenging conditions. All our technicians have received certification from the IICRC, ServiceMaster Clean Quality Assured program, and Indoor Quality Association, and have a well-deserved reputation of honesty and integrity. They approach each situation with great compassion and professionalism to fully restore not only the properties but also the normal life of our clients in a quick and efficient manner. We have extensive experience in dealing with various emergencies and use the most effective products and advanced equipment in the industry to guarantee a favorable outcome, regardless of the severity of the situation. What’s more, we work with local insurance companies to help coordinate your claims and ensure a quick and trouble-free restoration process that will not be an additional burden to your budget. 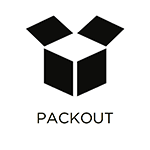 and pack-out services, and carpet cleaning services to the communities of Essex and Middlesex counties in Massachusetts, as well as Strafford and Hillsborough counties in New Hampshire. We will respond quickly and efficiently to any emergency event, anytime of the day. You can reach us at (617) 714-0650 in Cambridge, MA and the surrounding areas for a free estimate of your restoration project, more detailed information, or practical advice. 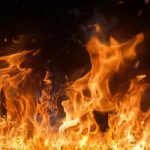 Fire spreads very quickly and not only causes extensive property damage but also poses a great risk to your health and safety. Even when the flames have been put out and there is no immediate danger, you need to deal with the harmful effect of smoke and soot and the possible water damage from the firefighting efforts. The corrosive byproducts of a fire will continue to cause additional damage until the restoration process begins. So, in order to salvage whatever the flames have spared, you need to call for professional assistance as soon as possible. ServiceMaster by Disaster Associates, Inc. provides fire and smoke damage restoration services in Cambridge, MA to help you mitigate water damage, get rid of the smoke, and remove the soot from your home or commercial building. Then, we create a detailed restoration plan taking into account your needs and preferences, coordinate it with you and your insurance providers, and begin efficient repair and renovation works to restore the excellent condition of your property. Our technicians use innovative technology, advanced equipment and appropriate cleaning products to restore fire damaged structural components and content including furniture, electronics, and fine art. You can reach us at (617) 714-0650, 24 hours a day for fire emergency situations in Cambridge, MA and the vicinity. Water damage is certainly the most common type of damage that may occur in your home and building as it can be caused by natural disasters, problems in your plumbing system, or leaking fixture or appliances, etc. Except in the event of flooding, you can prevent major damages to your property if you take quick and efficient measures. Call professional services at the first signs of water damage in your home or commercial building to have the problem fixed and save lots of time and money on the restoration. ServiceMaster by Disaster Associates, Inc. will respond quickly to your call and will come up with an effective solution to your problem. 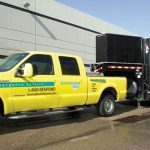 We provide water damage restoration services in Cambridge, MA to remove excessive water and dehumidify the premises, regardless of the severity of the situation. Our timely assistance will prevent extensive property damage and possible mold growth and will allow you to keep your daily routine uninterrupted. What’s more, we will not only repair structural damage but also effectively restore household contents affected by the water – even sensitive electronics, fine art, or important documents can be saved by our experienced specialists. Call ServiceMaster by Disaster Associates, Inc. at (617) 714-0650 for quick and efficient assistance in the event of water damage in Cambridge, MA and the surrounding areas. When a disaster strikes, it’s not only the structural materials and the furnishing of your home or building that sustain severe damage, but also your prized personal possessions. Even in the worst case scenarios, your property can be restored to its former good condition with the help of professional services and all your ruined furniture, appliances, etc. can be replaced. Lost items of high sentimental value, however, can never be replaced, so it is of paramount importance to salvage them before the damage has become irrevocable. Immediate cleaning, drying, and deodorization are essential for restoring the excellent condition of your cherished possessions. 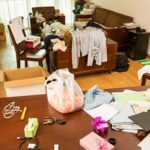 ServiceMaster by Disaster Associates, Inc. provides content cleaning and pack-out services in Cambridge, MA to help you salvage all types of personal items following a disaster – your most valuable possessions and your everyday objects alike. Our effective cleaning products and innovative restoration methods yield astonishing results and allow us to clean and restore content that has been damaged by flooding, fire, or mold. We can clean and deodorize your content on-site if the conditions in your home allow it, or we can pack-out your belongings to bring them to our secured facility for more thorough cleaning. What’s more, we can put them in safe storage for the duration of the restoration works in your property and return them to you when your home is ready. Contact ServiceMaster by Disaster Associates, Inc. at (617) 714-0650 immediately after a disaster in the Cambridge, MA area to have your personal possessions efficiently restored and to ensure your peace of mind. Regular vacuuming is very important for maintaining the good condition of your carpet as it helps prevent the excessive accumulation of dust and debris. However, heavy foot traffic causes dirt to get embedded deep into the carpet fibers and results in extensive signs of wear and tear. Unless the carpet is properly taken care of, it will soon become stained and may even start falling apart. Faded colors and worn out carpet texture will decrease the overall appeal of your interior decor and will leave a bad impression on your house guests or business partners and clients. Fading and deterioration can be easily prevented if you have your carpets professionally cleaned at least once a year. ServiceMaster by Disaster Associates, Inc. offers first-class carpet cleaning services for homes and businesses in Cambridge, MA and the adjacent areas. Our technicians use specialized equipment and innovative cleaning methods to remove deeply embedded debris and refresh the colors of your carpet. Besides, their extensive experience and meticulous attention to details allows our specialists to choose the most adequate cleaning products for your specific type of carpet. However delicate the material, your carpet will be thoroughly cleaned and revitalized. We offer residential carpet cleaning consistent with your needs and preferences and commercial carpet cleaning (one-time cleaning for special occasions or regularly scheduled carpet cleaning services) to maintain the healthy and pleasant working conditions in your business area. Call ServiceMaster by Disaster Associates, Inc. at (617) 714-0650 for additional information or to schedule an appointment for carpet cleaning services in Cambridge, MA and the nearby regions. When dealing with water damage, fire damage, or any other type of disasters that may have affected your property, it’s enough to repair the damaged household materials and thoroughly clean the premises in order to restore the good condition of your surroundings and resume daily routine. When dealing with hoarding issues, however, cleaning the hoarders’ homes is not enough to help them restore their lives. Patience and compassion, as well as effective therapy, are required to help hoarders overcome their fears and have a normal lifestyle. The severe indecisiveness, typical of hoarders, their tendency to accumulate large numbers of useless items, their extreme attachment to worthless possessions and inability to throw anything away result in large piles of junk throughout their homes that block the living space, harbor bacteria and mold growth, and pose fire hazards. Immediate help is required in such situations but unless the involved professionals adopt a considerate and delicate approach, the achieved results won’t be efficient and sustainable. ServiceMaster by Disaster Associates, Inc. provides hoarding cleaning services to help people with hoarding symptoms in Cambridge, MA. We not only clean, organize, and restore the homes of the hoarders but also assist the affected individuals in finding a permanent solution to their problem. Our effective 3-phase program involves the hoarders and their families through every step of the cleaning process and helps them maintain neat and healthy living conditions. If a friend or a relative of yours is struggling with hoarding issues in the area of Cambridge, MA, contact ServiceMaster by Disaster Associates, Inc. at (617) 714-0650 for efficient assistance and hoarding cleaning services. Mold can grow at just about any time if it finds the right conditions and once it starts growing, it will keep spreading and causing damage until it is removed. It just takes a moisture source and organic food source for mold to grow and it will not only cause damage to the affected surfaces, it will also increase the risk of allergies or infection. ServiceMaster by Disaster Associates Inc. provides mold remediation services in Cambridge, MA to contain and remove mold growth from homes and buildings. Our technicians will ensure that all mold growth is removed and we will either repair or replace the damaged surfaces.